Join us to see iceland as you´ve never seen it! Join us to see iceland as you have never seen it! Iceland as you’ve never seen it! After wrapping up Silent Arctic in Greenland, Icelandic explorer and I knew that we had completed a truly epic adventure. We realised that the basis of this journey was Opal; the magnificent, silent schooner of the Arctic. When we found out that Opal would be spending the winter in Reykjavik, we saw the opportunity to create a different kind of adventure: one which would give you the ability of see Iceland in a totally different light and angle, with all the joys of being at sea on a journey which very few have ever taken. 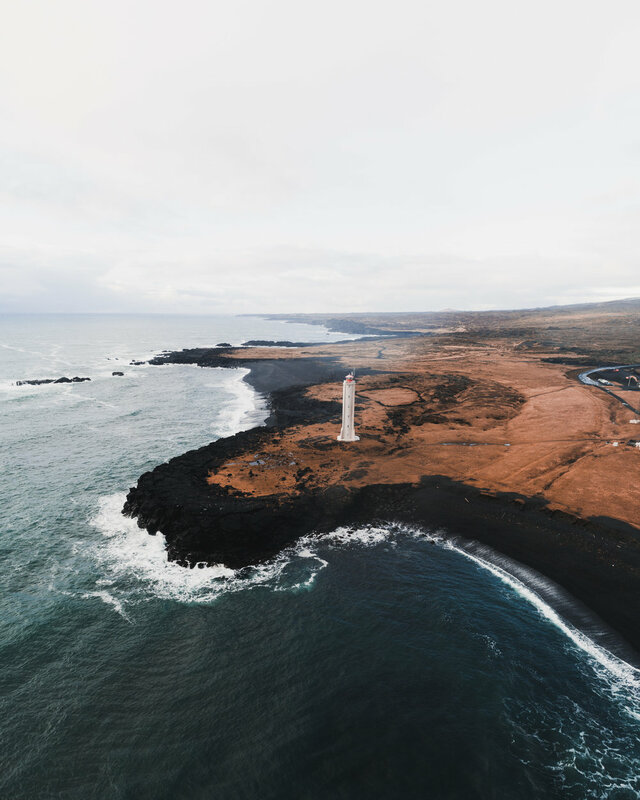 Here, the photography opportunities are immense, we will sail around the Snæfellsnes Peninsula, the famous Snæfellsjökull glacier and volcano combo and experience some of the most dramatic and jagged coastlines in Iceland. The following day, we will get to know some of the fjords of this peninsula, which are remarkable for the fact that they bare host to schools of herring, which attract Orcas. This is one of the main reasons why we are undertaking this journey, and we seek to experience a feeding event and be with the Orcas. As we progress around the pensinsula, we will sail past the iconic “Church Mountain” “Kirkjufell” and continue to the Breiðafjöður area, and huge and unique cluster of islands and islets with a population of Eagles, which we may be lucky enough to see. On the third day, we head back to Reykjavik and on the final day, we edit, print and unwind at The Space. Embark on an internal expedition as well. Meredith Kathleen Neumann of Scaling Within will be joining to guide us on an inner journey to connect to the truest parts of ourselves. We will disconnect from the noise and learn to be present to the majesty around us and within us. One thing you can be sure, you will not return home the same. Meredith helps entrepreneurs and business leaders identify and overcome internal barriers & limiting mindsets, access their inner potential and turn challenges into opportunities for success. She calls this work Scaling Within. With 10+ years of experience as a Licensed Therapist, Meredith brings to the marketplace a deep understanding of brain neurology, individual wiring, and practical tools to enhance performance. This background helps her quickly identify underlying issues, enabling her clients to level up both professionally and personally. Meredith is based in Minneapolis, MN and has a deep passion for the Nordic nations. Meredith will be onboard the Opal for the duration of our journey. She will facilitate an evening learning session and be on hand to answer any questions you might have, with a possibility for brief 1-1 consulting sessions if the schedule allows. Equally as important as the journey itself, are the people that you do it with. Each of our teams of participants is carefully chosen from the applications that we receive, and we do our utmost to ensure that we create that most diverse, dynamic group possible. Many times, we represent nearly 10 countries between us! Having so many new experiences with so many new people creates very powerful bonds between everyone involved, fomenting powerful and lasting friendships. Below, you can see previous workshop participants reflect on the impressions that the workshop left on them. In a world where we are constantly at the mercy of notifications and the next bite-sized piece of information, it is easy to forget what it means to switch off. On board our glorious schooner, we will be humbled by a true sense of disconnection from the outside world. This is silence, through and through. The Full Creative process from start to finish, with sails added! In the digital age, physical objects are a luxury; particularly photos, many of which never see the light of day after they’ve been shot, condemned to gathering digital dust on a hard drive forevermore. This is why we feel it is so important to see your photos on print, and we wouldn’t have it any other way. The feeling of holding YOUR photos in YOUR hands is indescribably and incredibly satisfying. We have teamed up with The Space Reykjavik to bring you this amazing and extra special feature of printing right after the workshop is done. The print itself will then be mailed to you once you are home, a few days after the end of the trip. There is a high chance of seeing Northern Lights during this period of winter in Iceland. If we were to see the lights it would indeed by splendid. The world's most Nothern capital. A hotbed of art, music and culture. We meet here, and then venture forth. At the end of the workshop, we will also print here, at The Space Reykjavik. Visible from Reykjavik on a clear day and most famous for the volcano located at the end of the peninsula, we will sail around this magnificent peninsula, glacier and volcano. The Breiðafjörður region is a veritable wildlife oasis, itself a cluster of hundreds of small islands. There is a native population of eagles living on the islands and there will be more chances to see the Orcas again. The small fishing village of Grundafjordur is surrounded by remarkable fjords, many of which hold the schools of herring which the Orcas come to feed on. Our best chance of seeing the orcas will be at the mouthes of these fjords. Further along, but not far away lies the town of Stykkisholmur. We will likely disembark here and get to know the town. Western Winds is open to 10 wildlife, adventure and photography enthusiasts. We will focus on capturing the dramatic, humbling landscapes that surround us in these epic, barely-visited locations. Sail into some of the fjords and hope to find Orcas! Print file handover and farewell session to say goodbye to the group. Additional side excursions and stops along the way. An A2 fine art PRINT, printed on site immediatel y after the workshop at The Space Reykajvik on Hahnemule Photo Rag Fine Art: archive-quality paper. Access to a range of old school, nautical and vintage themed props on board Opal for lifestyle photoshoots. A personal disposable camera for you to use during your time on board. Personal travel insurance, including for camera gear. Make sure you are well-equipped for the Icelandic climate, it can be very temperamental. See below for more queries and questions. We highly recommend that all participants have separate camera insurance for their gear. If you have one, absolutely! If you don't, consider getting one! West Iceland is a fantastic location to drone. Of course, we won't be doing any droning around or above wildlife because we need to be as sensitive to their environment as possible. Non-flying cameras only! Our greatest recommendation in this regard is that you bring a telephoto lens (which are surprisingly useful for landscape photography)Canon have a superb 100-400mm which would be invaluable. Nikon also also have a brand new 200-500mm ( which I own and use) and an 80-400mm. HOW WILL THE WEATHER BE IN iceland? The Icelandic climate varies considerably, on a season-to-season and year-to-year basis. Having said that, the temperatures will range between from -5 to +5 celcius throughout the day and nights. Wind, snow and precipitation (or some combination of the three) is to be expected in an Greenlandic winter at any time.